Last Chance to Visit the Holiday Art Show at the Rocky Neck Cultural Center! Sunday. December 10. 10:00 a.m. – 4:00 p.m. 6 Wonson Street. Gloucester MA. Offerings of Fine Art, Jewelry, Photography, Blown Glass, Calendars, Cards and More. Impromptu ‘Closing Reception’ from 2 – 4 pm. Sunday, December 10. Join in celebrating the end of the 2017 Season! We are looking forward to future exhibits on Rocky Neck, American’s Oldest Art Colony. Renovations begin soon at the Rocky Neck Cultural Center. Looking forward to the 2018 season at the Rocky Neck Cultural Center and Gallery 53! 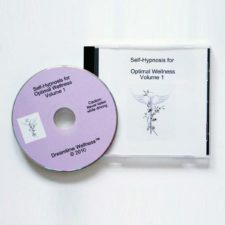 Gifts Certificates and Generic Self-Hypnosis Recordings (CDs and MP3s) – NOW AVAILABLE at our secure, on-line store. Relaxation, Meditation and Hypnosis – People have been asking for recordings of my guided meditation and hypnosis sessions for many years. Offering hypnosis/hypnotherapy/guided meditation since 2000. I was often asked for a ‘recording.’ Over the past 7 years we have been producing and testing our generic recordings. Based on hundreds of individual client responses and their feedback, we have found them to be safe, effective, when used as directed. Ready to Launch! Self-Care Tools – these recordings are intended as self-care tools and adjunctive (supportive) aids in collaboration with your conventional medical care. Feel free to contact us with any questions, prior to or after purchase of any of these products. Generic recordings offer more accessibility and affordability. Not everyone can afford a one-on-one private session. Not everyone will be able to travel to see me in person. By offering these recordings on-line I am hoping to bring the benefits of relaxation and positive, healthy lifestyle changes to more people around the globe. Our On-line Store Launched on Summer Solstice. The First Day of Summer seemed a great time to launch products that help promote change. Note: Consult your physician prior to using relaxation, meditation or hypnosis recordings.While relaxation, meditation and hypnosis are generally safe, there are some precautions. 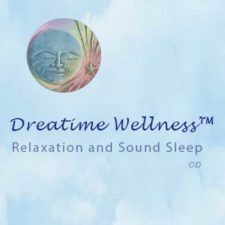 Thank you to multi-talented Diana Whitten of Gloucester MA for the design of the new logo for Dreamtime Wellness™ LLC. The new Dreamtime Wellness logo is meant to convey my background in nursing along with a passion for promoting health and wellbeing for mind, body & spirit. The ultimate goal – a sense of inner peace and happiness, ‘rippling out’ to others. Karen Pischke B.S.N., R.N., C.C.R.N. Alumnus, Author, Lecturer, Nurse Researcher, Certified Hypnotherapist, Tobacco Treatment Specialist, Usui Reiki Teacher/Komyo Shihan. Owner/Founder of Dreamtime Wellness LLC. Your Bridge to Health. Promoting Optimal Wellness for Mind, Body and Spirit www.DreamtimeWellness.com. Find us on Facebook. Have you or someone you know experienced the Addiction of Loving an Addict? During our evening of conversation and refreshments, we will be learning about the addiction of loving an addict. What it means to be co-dependent, how shame and forgiveness play into family disease and what you can do to begin your own recovery. We will connect on how we can explore the use of yoga, al-anon principles, essential oils and breath work to heal. You deserve self-care. Addiction may not be your choice, but it is your journey. How you move forward is your choice. Let’s release shame, invite forgiveness and explore loving kindness. We will end our evening with a guided meditation, breath work and an essential oil assist. Jenny Ravikumar, e-RYT 500 hour teacher, reiki master, healer and writer. She will share her powerful story of how she began (and is still to this day) healing her own heart while staying strong in loving her son and creating a new family lifestyle for them both. This is a free event – please spread the word.